Lineup additions continue to trickle out in pairs from this year’s Eye of the Stoned Goat fest, to be held June 12 and 13 in Amityville, Long Island. 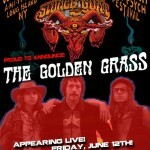 Last we heard, the fest reached across the nation to pluck Wounded Giant out from their Seattle base of operations and have them join with Connecticut’s Curse the Son, and today it’s feelgood Brooklynite trio The Golden Grass and LI’s own Borgo Pass who’ve hopped on board. To be honest, it would be more of a surprise if Borgo Pass didn’t play Eye of the Stoned Goat 5. The long-running bruise rockers are an institution out on Long Island, gigging regularly and consistently throughout the region for nearly 20 years while staying true to their roots in classic heavy metal, loosely Southern-styled sludge rock and burly groove. Releases have proved infrequent — their latest full-length, Deadwater (review here), came out in 2011, six years after the prior Nervosa — but Borgo Pass have never shied away from a Long Island stage, and to have both them and John Wilkes Booth on the bill, no one could accuse Eye of the Stoned Goat 5 of showing up to Long Island without giving native acts their due. As regards Brooklyn’s The Golden Grass, their appearance at Eye of the Stoned Goat 5 will follow a trip to Europe for a stop at this year’s Roadburn festival to follow-up on their across-the-pond live debut last fall, with which their latest 7″, A Curious Case/The Pilgrim, was issued to coincide. Their 2014 self-titled full-length (review here) was released by Svart and served as one of last year’s finest first-albums, and they’ll have along with them their new bassist Morgan McDaniel, who joined either at the start of the year or late in 2014 to replace Joe Noval in the trio lineup with guitarist/vocalist Michael Rafalowich and drummer/vocalist Adam Kriney, whose prior outfit, the psych-freakout-prone La Otracina, also seem to be rearing their head once more. Alright Long Island, you wanted them.. You got ’em! 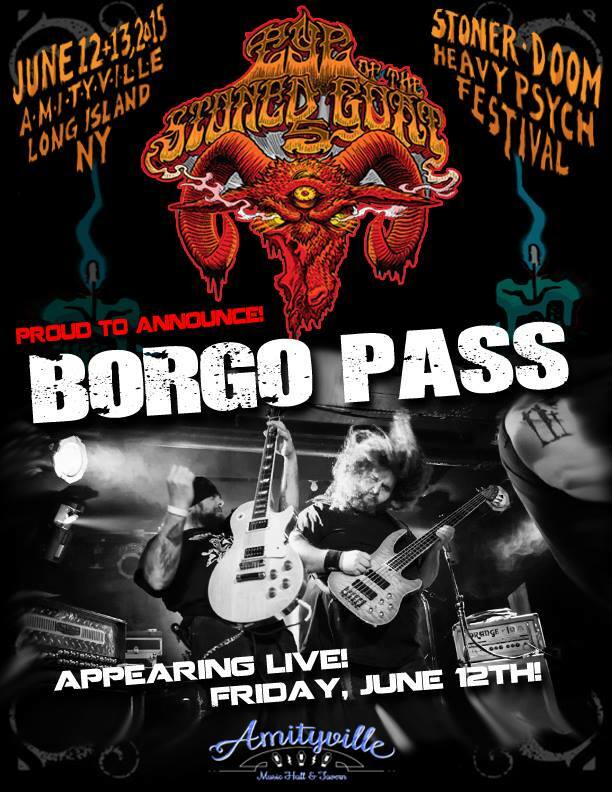 Announcing that appearing on the ESG5 stage this year is none other than New York’s sonic bulldozers… BORGO PASS!!! 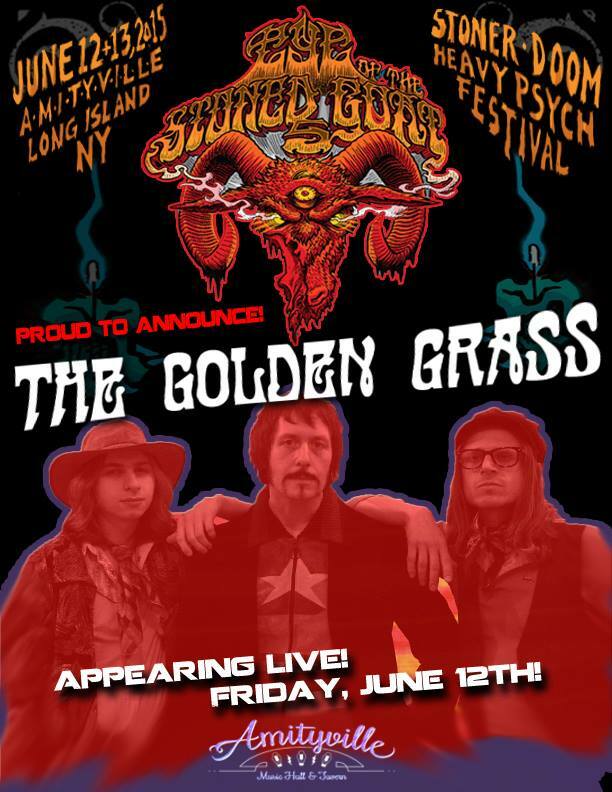 Additionally, we are absolutely thrilled to announce for the first time on the ‘Eye of the Stoned Goat’ is Brooklyn’s psych-rockers The Golden Grass!!! This entry was posted	on Monday, February 2nd, 2015 at 5:09 pm	and is filed under Whathaveyou. You can follow any responses to this entry through the RSS 2.0 feed. You can leave a response, or trackback from your own site. I had no idea Borgo Pass was still going. I saw them way the hell back at SHOD IV in Mesa and the pre SHOD IV show in ABQ. Good for them for keeping it going so long!